Boys and girls, it is coming close to that time of the year once again! We have hit the month of May, and the spring is in the air. We can almost taste the summer. And with Summer comes the Sliotar Summer Tour 2018. This years tour is going to be a special one for us, as we will be promoting our new album! Many of you have been asking about the new album for a few years already. 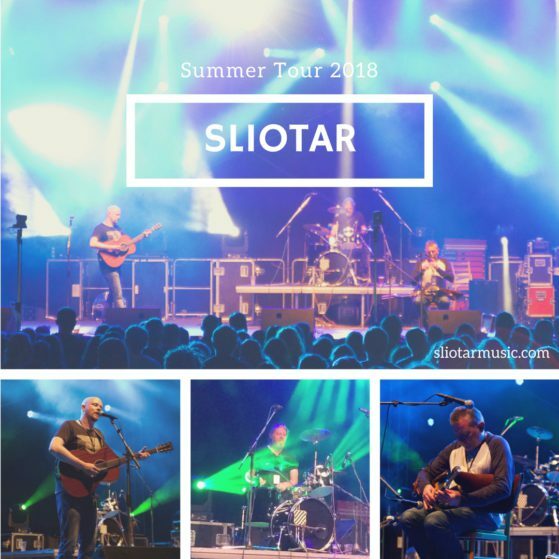 But during last summers tour, we felt that something special was happening with the music of Sliotar, and it was the right time to capture it. So in October, we spent a week in Denmark recording the album. Then for the following months, our good friend Tom spent mixing the album with his magical touch. For the past few weeks, we have been listening back to the final mixes, and we are super excited about the album! And even more so, we cannot wait for you guys to hear it. More news on this soon. The summer tour dates have been coming in, and the core of the tour that we build around is set. As always, there might be late additions to the tour, so keep an eye on the website. But for now here are the dates we have in store. As always we are all really looking forward to seeing you all on the road. Over the years we have made so many friends around the Celtic music scene, that these days the tours have become a great opportunity to catch up with friends. This is why we try to make time to spend extra days at festivals, when possible. So when you see us during the tour, don’t hesitate to say hello and raise a glass with us. After all, the new album is definitely worth a celebration or two!